M.O.H. @.L.Y.I.C.S ©: 848) Do you Dare to Dream?! What a coincidence! I have written an essay in Arabic with the same title! I liked the video and the advices. But is it really just a coincidence? The right article in the right time...it is awake up call for me. Although it is a 7 min video but it summarizes all the theories. I watched it yesterday for one hour and share it on my wall it really deserves watching. I do believe that what prevents us from achieving our dreams is FEAR. To move from the comfort zone to the magic zone we should take risk “Anyone whose goal is 'something higher' must expect someday to suffer VERTIGO. What is vertigo? Fear of falling? No, Vertigo is something other than fear of falling. It is the voice of the emptiness below us which tempts and lures us; it is the desire to fall, against which, terrified, we defend ourselves.” Milan Kundera. Not only fear but also procrastination; there must be “ an expiration date “for our dreams otherwise we will remain in dreaming phase. Fear and procrastination because we are not passionate about our dream if we have passion and commitment such dream will come true. Samar: Thank you, you really should check the video.. Seems that this is beyond being a coincidence! Thank you for the valuable comment. It is scary how many people live and die without even trying once to go our of their comfort zone. Sometimes ya Doctor leaving the comfort zone is necessary to survive a blast of fate. so instead of clinging to what we have to feel safe and secure, oen just drops everything and starts allover again to overcome the pain. int his case it is a life-saving step, i guess. for me I have established a comfort zone in a part of my exisntence, that i am reluctant to leave. maybe i am too lazy to try out something new here. maybe too scary, maybe i don't dare to risk sailing in new waters, i don't know. other than such a zone, I love to check out new areas. it makes me feel alive and human, somehow. i dare to leave my comfort zone when it comes to business, taking over completely new role or even launching my own small business. here i have no restrictions whatsoever. I am very excited and enthusiastic to explore new waters and test my capabilities to adopt to new challenges and overcome new "stones". actually its a pleasure to develop, explore, learn and move on. the video is really good. 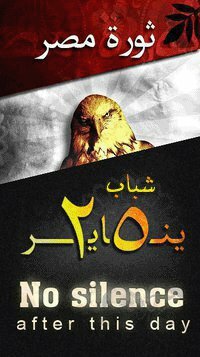 I wish everyone in Egypt would watch, digest and follow. Yasmin, I fully agree with you. i think the difficult phase is when fear resists the passion to realize our dreams, that's when we are stuck with all what you mentioned. fear in this case is the voice of the reason vs the voice of the hope to try one more time. Thanks dr mohamed for this great article. This video is really what I wanted now to push me up and try things I always thought it wasn't right for me. Good things don't come to you..you have to go get it yourself. Yes Shady, you gotta do what is right for you.. Dont let anyone stand in your way even YOURSELF. valuable comment for valuable post ya Dr.Mohamed. Don't we all go through this phase ya Yasmin. This is the most scary and drawing back phase. We were born talented, resourcful, complete & with no fears. Then, like black magic others can tell spells about what we can/can't do, this is when we start to know fear & limiting believes during childhood, and it's territory expand to include many types like fear from rejection, fear of being different, fear of not being good enough and also fear from success, all types of fear & limits = fear from simply being. While there is NO FAILURE, only feedback on the right path for you to take, if you took the wrong one just celebrate with a louuuud TAAAADDDDAAAA that you made a mistake, gained a life experience which will take you closer to your objective. "Courage is not the absence of fear but the willingness to walk through your fear in pursuit of a goal that is important to you"
For that sake and because I was talking to myself before anyone else will share the blog link before finalizing the design. well said ya Sohad .. well said. White Magic ( love, acceptance, and positive energy ) have a strong power to reverse black magic spells. "celebrate with a louuuud TAAAADDDDAAAA"
cherish a lesson is very brave, dear. and it is a way to pamper yourself after a blast, i admit. however sometimes i wish i wouldn't have gone through this test to gain the lesson. Ya Mariam as long as it's good enough for you love :)) life lessons are cherished for what they reveal about ourselves. Tests, and turmoils are only stimulus to reveal the true authentic self , without it we won't be who we are today. Humans are like pearls, some are kept inside their shells and need a test or a situation to let them shine and explore the world. Apparently there is a strong cosmic energy promoting, courage & dreams. I was running this morning to catch up a corporate kick off meeting & Omar el samra was the guest speaker..it was an amazing speech in pursuit of his dream he passed through a lot el 7a2ee2a. Good to know there are many ya Sohad. How come we meet very few then. What was his dream? I mean omar el samra? Sounds fun. I like that. I just checked him out. Good for him having realized his dream. I wonder what his next would be :-). Now i understand why he is alien. he is a fellow AUCian.. his next dream is climbing all the 7 roofs of the world, I guess he is almost there. He established a company for adventures as well. We are all connected at subconscious level. Sohad, me too. it is one of the good things here that Dr. MOhamed doesn't mind the side jumps from the post's subject, which makes it sound like a comformatble friends' round to me. comfort zone ya Doctor is often needed to just regain your balance and start the fight again. and sometimes it is the start to give up on something and start in a totally new direction. being one is not easy at all. however, as long as it is our fate, why not enjoying it and making the best out of it. otherwise, the consequences would be disasters. you know, it is a kind of living with a chronic disease and enjoying the rest of what you have aside from it. However, it's not a chronic disease my dear it's living consciously & we are on track ;))) others don't know what they are missing! i don't know if they lose anything, they seem to be ok with their lives. i am ok with mine too, if they just leave me alone. sometimes it is like a disease, dear that you have to cope with, as there is no cure. not that i regret. a dream that i worked to realize was keeping my "alien" nature. i couldn't go otherwise. seems that Alien is our comfort zone, like Dr. Mohamed mentioned earlier. It is a Syndrome ... EAS; Egyptian Aliens Syndrome. Remember what I told u on Sunday .. we are looked at as mental faggots in this society. Khalas I am facing it every day now..
Who cares about the society ;)) If we anchored the society perception we will always feel lonely & crazy..I would rather to anchor a different feeling of living conscious , fulfilling life, and work hard to reflect the light back to society, family ba2a dee hopeless case, as they always know better..wana 2as3'ar wa7da so I don't have a chance..
even if u were the eldest (like me) and a male .. same case, same hell. Cheer up guys. At least we have something to joke about. Imagine how dull our lives would have been, if we were "normal". The way i live now with all risks and threats is far better than weird lives some around me have. Living an unconscious life.. We bee to manage our expectations and do what's convenient. Ya Maryam ( me, I & myself ) cheering up 3al 2a7'er ahoo. That sounds great. Make pictures for me. Isa i will do that one day. I love sea/lake/river side. By the way Ana kont ba7'af men el ba7r wel samak , and my greatest fear was to confront a shark. ( el fear from the unknown). Shark? Ya khabar.shoufy i am trying to overcome so many fears.going step by step little slowly. My enemy is getting little by time. Mesh la2ya kalam a7la men dah to share.. Yes ya Maryam we all go through FEAR phase it is the most crucial one. Sohad, yes would love to go there. Heard it is beautiful. Yasmin, our problem is not that we dont enjoy our lives, it is others' attacks that mostly hurt, while they have nothing to do with it. Yeah..still hard and challenging to mingle with the insensitive majority! As if we speak a different language or actually we do.. It's really very hard to operate in the world sa3at..I wish I can live on an Aliens island..
My friend Tamer Mustafa and his speech at TEDx . BTW Dr.Mohamed i told my friends about “Vacation series " no one know what is "PVS" loool . I'm very grateful to the knowledge i gained thank YOU. Thanks for sharing ya Yasmin.. I am sure you have experienced it even if they dont know about it.